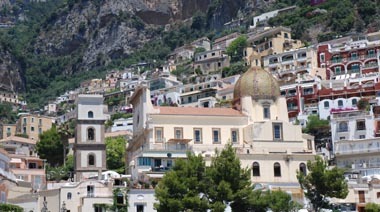 Best time to visit Positano, in which period of the year you can enjoy at best your visit. WHAT IS THE BEST TIME TO VISIT POSITANO? 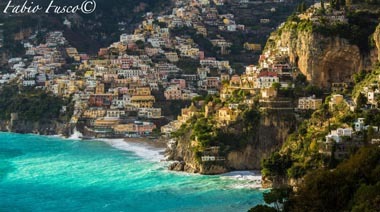 Positano is a beautiful and fascinating place throughout the year, but there are particular periods where you can live the life of Positano at best. Find out what they are! 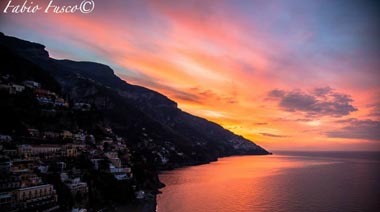 Often when you organize a vacation you are hoping that the weather in the period chosen is clement and he gives us beautiful sunny days, but do not underestimate the charm of Positano even with a cloudy or rainy day, enjoy beautiful sunsets after a rainy day it is a unforgettable experience that will always remain in your hearts. 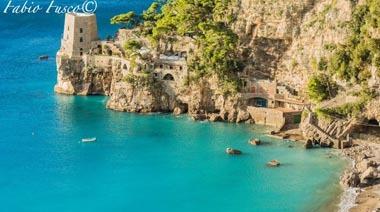 With no doubt the spring is a great time to organize your stay in Positano and live all the nuances that the country can offer. The spring weather is usually very mild, fresh, slightly breezy and sunny for the whole day. Although the sun is covered by clouds will allow you to enjoy its warmth lounging at the beach or a hike in the mountains in the villages of Montepertuso and Nocelle. The most daring can try to bathe in the sea in this period is really beautiful, clear and clean. Summer is the period in which Positano is at maximum activity, every day the country offers many proposals for the tourist who has the opportunity to fully experience Positano, starting from the wonderful sea excursions up to the fun disco nights, or even spend the entire day at the beach, which although always has a great charm in the summer and especially during the month of August the main beach of Positano is always very busy, in fact it is wise to avoid rush hours and enjoy the sea in the morning or late afternoon. The temperatures are quite high, do not forget to buy a bottle of water if you feel like taking a walk through the narrow streets of Positano or beautiful villages of Montepertuso and Nocelle. 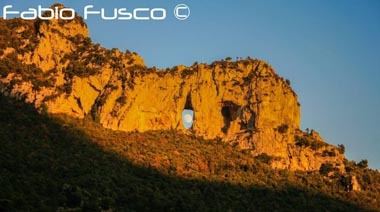 There is often haze because of the high temperatures, but at sunset the thermal wind cleans the sky from the clouds and lets you capture a photo with the most beautiful spots in Positano. Like Spring, Autumn is one of the best times. There isn’t the big summer crowds, but still the country is swarming and offers many activities. The climate is mild although it could happen some sudden burst of water with brief thunderstorm passing through. Winter is a period during which Positano collects expenses forces throughout the year, many business activities with accommodation and are closed for holidays, although in recent years it has paid more attention to the winter tourists and many hotels and b&b have extended openings to offer hospitality even in the months of December, January, February and March. The climate becomes more rigid and can also happen to have full days of rain and wind. Surely one of the advantages of visiting Positano at this time is to have the opportunity to photograph unique landscapes framed by the sun that rises from the clouds and the waves crashing ot the Spiaggia Grande little pier. Rarely snowed in cold days of December or January, the show that comes with snow alights gently on the beach is unique and the lucky tourists who managed to experience this spectacle of nature are really lucky to be considered! Don’t forget that Positano is also known as “Vertical City” because it grows on mountain’s side descending to the sea, so you often need to walk enough to reach any spot, the beach or your accommodation. It’s why the best time to visit Positano is in the Spring or late Summer or early Autumn, where the weather is often mild.